The decadent richness of cream is derived from skimming the surface of cow’s milk to obtain fat. The many varieties are graded on percentages of fat. A richer cream taste is usually accompanied by saturated fats and many cooks are reserving the use of heavy creams for special occasions. The term “cream” is also a process of blending ingredients by spoon, whisk, or electric mixer to create a smooth, or creamy, texture. Heavy cream/heavy whipping cream – Used for whipping and much less likely to curdle during cooking. Milkfat content must be at least 36%. Light whipping cream/whipping cream – Can be whipped and also resists curdling. Milkfat: 30%-36%. Light cream – Cannot be whipped as is and used mostly for table service. Milkfat: 18%-30%. Half and half (pouring cream in Britain) – Least butterfat content and prone to curdling. Does not whip as is. Milkfat: 10.5%-18%. Devonshire cream/clotted cream – Thick enough to use as a spread, but separates when heated. Milkfat: 55%. Double cream – Milkfat content is 42%. Can be whipped. 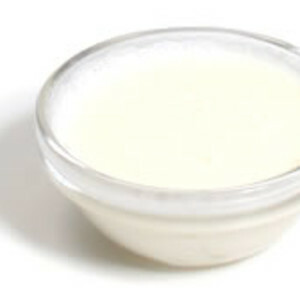 Crème fraiche – A fresh cream with 39% milkfat content. Sour cream – When bacteria is added to cream it is soured. Milkfat: 18%. Whipped cream also is canned as a foam and available in tubs in the freezer section. Powdered cream is marketed in some regions. Most products sold in the U.S. are “ultrapasteurized,” which means they have been heated for longer shelf life. When used for whipping, the taste of foods may change. Be sure to purchase the right type of cream to meet the cooking requirements. Créme fraîche tends to be expensive, but is easily made from scratch. Refrigeration is required for all creams, but freshness dates will vary. Some creams should be used within a few days, while others may last several weeks. Cream does not freeze. However, after whipping, heavy and light creams can be frozen. To thicken low-fat creams, use cornstarch or flour. When using a cream for whipping, chill the bowl and beaters for faster results. Use only the freshest cream to add to coffee.